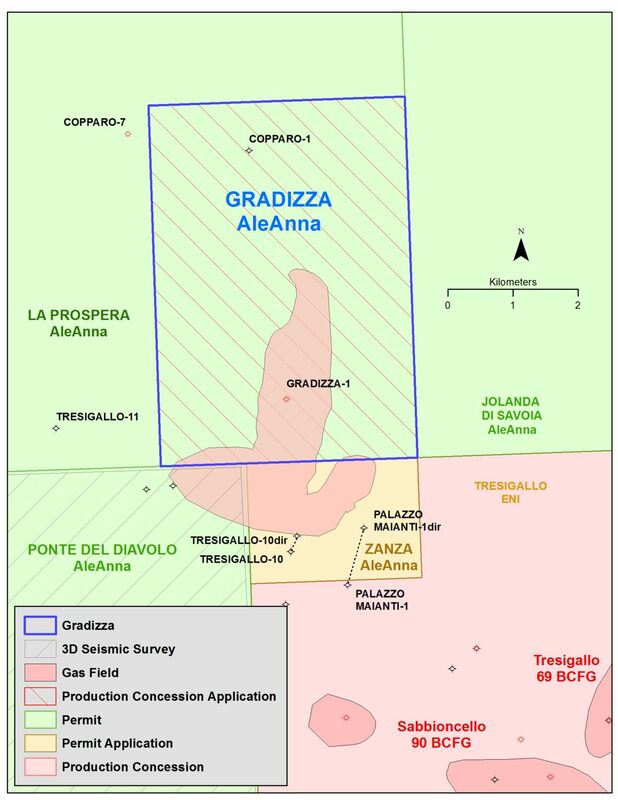 AleAnna participated at 10% in the Northsun Italia SpA-operated Gradizza-1 well, drilled in 2012 on the La Prospera permit. The well tested 800 MCFG per day and no water from a Pleistocene sand at 860m. In 2015, AleAnna purchased Northsun Italia SpA’s share of Gradizza & La Prospera and became operator. The well is ready to be completed and connected to SNAM as soon as the production concession is approved.